As a generalization, African music is some of the best in the world. In fact, most of the rest of the best music in the world is derived from African music, in one way or another. Jazz, blues, bluegrass, rock and roll, and reggae can trace their roots to an African lineage. I’m not sure why the number of African bands to make it on a global scale is so limited, but it is a missed opportunity. Graceland by Paul Simon put Ladysmith Black Mambazo on the map, in part because the release of the album happened during apartheid, but also because the music was so good. Fela Kuti, the Nigerian protest singer, and Oliver Mtukudzi from Zimbabwe, and Osibisa from Ghana (and other places), all have epic catalogues, but their international success puts them in the minority. So, now that I have left Ghana, it is a good time for me to give a rundown of the music I’ve been listening to for the last six months. 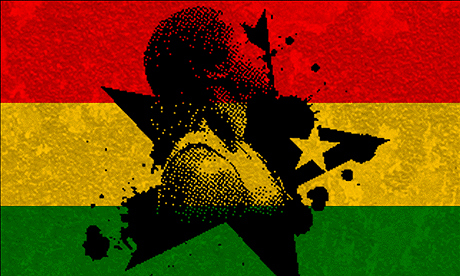 High life is among the most popular styles of music in Ghana. It is breezy and upbeat with a quick drum line. The most famous highlife group is called Osibisa. It is an old school throwback band from the 70’s, 80’s, and 90’s. The core members are Ghanaians who studied music in the UK and formed an international super-group comprised of different nationalities. This is a personal favorite among my Canadian friends. Because they do have an awful lot of coffee in Brazil. African hip hop, R&B, and rap fall under the heading “hip life.” This is what the kids are listening to these days, and it is what you hear when go to clubs, bars, and festivals. In general, Ghanaians love dancing. And, as far as I can tell, are some of the most talented dancers in the world. They also love to listen to music incredibly loudly. I have permanent hearing damage from sitting next to banks of amplifiers that make any attempt at conversation completely fruitless. But I love it, and am going to miss it. This band, despite having a hilarious name, is super sweet. They sing relatively dirty songs that are chop bar and club favorites. This Nigerian duo of two identical twin brothers is super popular all over West Africa. Nigeria is the hub for hip life, exporting its style to Ghana and other places. Sarkodie is one of the biggest hip life stars in Ghana. During my first week, I went to an exclusive party at Afrodisiac, a hot night club, that I had no business attending. Sarkodie performed and was chilling in the VIP room with his crew drinking champagne. I’m a terrible dance in any environment, but at a hip life night club in Accra, it is downright embarassing. Keche is on Sarkodie’s record label and the party at Aphrodisiac was his album release party. I paid 5 Ghana cedis for his album, then found out they were giving it away for free outside the club. Maybe the most ubiquitous of all the styles, you will hear Ghana gospel music everywhere. The music videos are almost as good as the music itself. So there you have it. Ghana friends – please let me know if I missed anything. Does Per Capita GDP Matter?